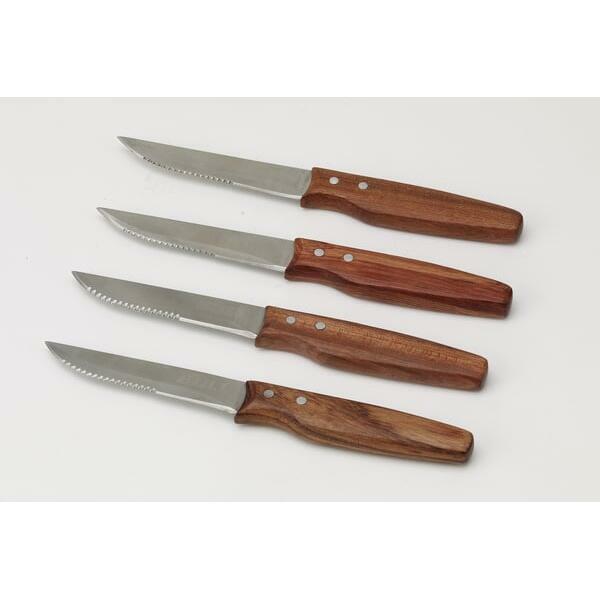 The Stainless Steel Steak Knives come in packages of four knives with extra sharp edges. Each knife is simply constructed and made with all-weather materials. 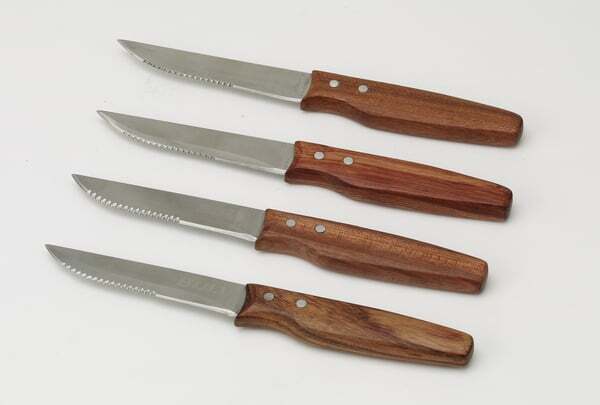 The serrated blades are formed of stainless steel and contoured handles are made of real rosewood.